Now that Autumn is coming, our skin is getting drier. It is very important that we keep our skin hydrated and clean at all times!! This line is for normal combination skin. Biotherm also have the exact same product (pink line) for dry skin. 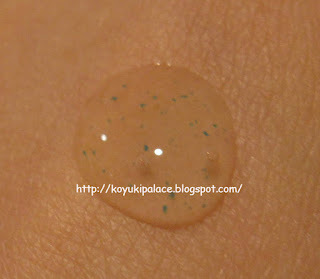 The texture is a light water gel with tiny exfoliating beads. It helps to cleanse, hydrates your skin. 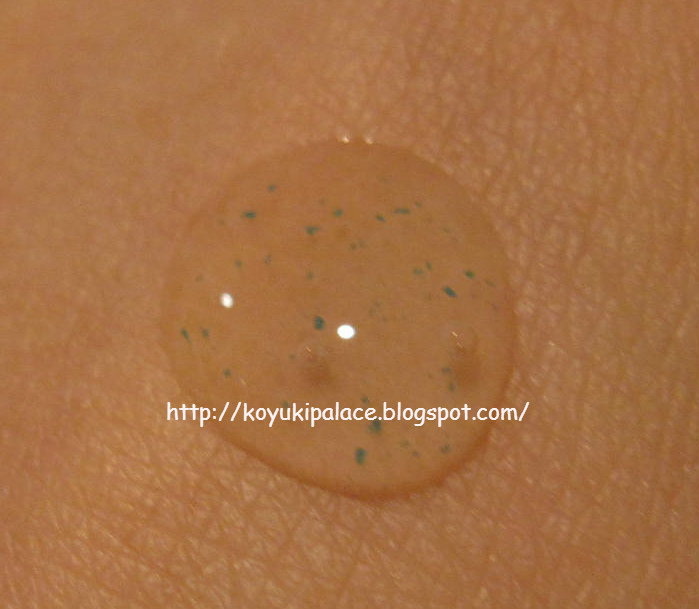 At the same time, the exfoliating beads help to remove dead skin cells. After using it, my skin feels healthy, radiant and fresh. However, I wouldn't recommend using it every single day, cause your skin doesn't have that many dead skin cells, unless you live in a polluted country then yeah, you can use it every day. I would recommend using this every other morning or at night. It doesn't give my skin any irritation and the cleaning power is quite strong. It probably won't be suitable for sensitive or dry skin. I love this product and will get it again and again and again. One thing to keep in mind is to NEVER use an exfoliator to remove make up !! I know that some of us are lazy and we don't want to use a make up remover and just use a cleanser instead. Exfoliators are NOT cleansers, they remove dead skin cells by digging into your pores. When used on clean skin, exfoliators will dig into your pores and get the bad stuff out, but when used on "dirty" skin, the effect is opposite... it will dig your make up into your pores.. which isn't a good thing at all!! Please remember that this is NOT a cleanser, it is something to remove dead skin cells ON CLEAN SKIN.